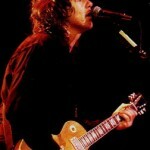 Rock guitarist and former Thin Lizzy star Gary Moore has died in Spain, British media reported on Sunday. 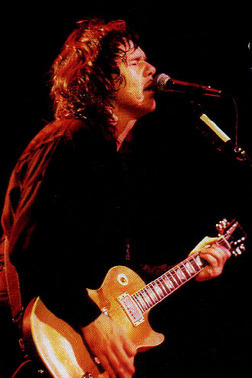 The Belfast-born musician was 58. According to the Irish Times website, Moore was found dead in his hotel room in Estepona early in the morning. A postmortem was due to be carried out in the nearby city of Malaga, the newspaper added. Oscar-winning Italian film producer Dino De Laurentiis, who brought to the big screen nearly 500 films including “Serpico,” “Three Days of the Condor” and “King Kong,” has died in Los Angeles aged 91, Italian media has reported. De Laurentiis produced several Italian classics in collaboration, including Federico Fellini’s “La Strada,” for which he won an Oscar in 1957. There is a rumor that a war is raging over the remains of legendary Hollywood actor Marlon Brando — ashes that are allegedly being held hostage by a woman who used to date Marlon’s son. The ashes are currently in the possession of a woman named Donna Lopez Geon — who was in a relationship with Marlon’s son Christian Brando … until Christian passed away in 2008. A French video game fanatic has hunted down and stabbed a rival player who killed his character in the popular online game Counter-Strike. The 20-year old Julien Barreaux reportedly spent six months looking for the player who killed his character in a virtual knife fight. He eventually located his victim, named only as Mikhael several miles from his home in the town of Cambria. Don ‘t look for an album filled with artists covering his tunes, or a prime-time star-studded tribute blowout to mark the anniversary of Michael Jackson’s death. Instead, there will be smaller tributes around the country, quite a few media-driven events and what is sure to be lots of fans remembering the King of Pop by playing his music and watching his videos.